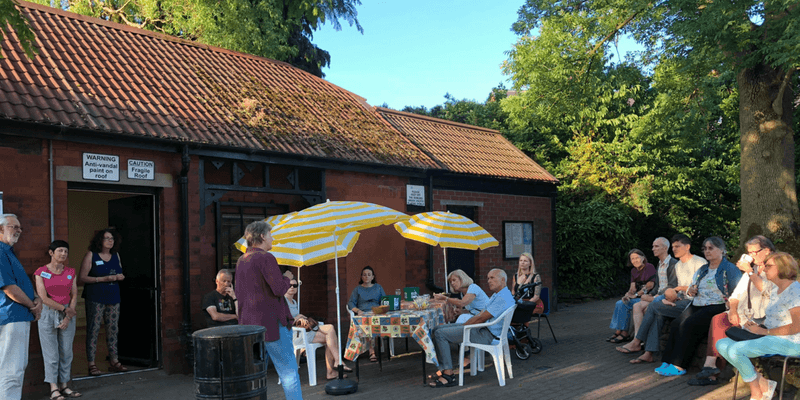 Thursday, 5 July 2018 was a fine, balmy summer evening when the Friends of Heaton Moor Park hosted an ‘Evening in the Park.’ We enjoyed some drinks and nibbles under the bright parasols by the pavilion, while Pauline, who has tremendous knowledge and experience as a landscape gardener, gave us all a short introduction to the park and what the Friends of Heaton Moor Park have achieved since its founding 23 years ago. We then headed to the ‘centre island’ and began a short exploration of the 4 quadrants of the park (crown bowling green, football pitch, tennis court, cloverleaf) and a stroll through the woodland walk. 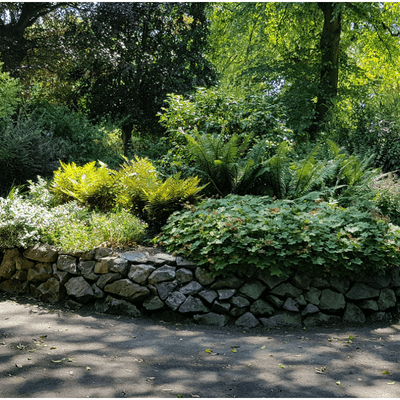 The group’s chair, Sally, then led a discussion of how volunteers can help preserve and improve the park’s character and beauty, be it through helping out on Garden in the Park days, running the popular annual events, or fundraising for projects. If you missed the evening and would still like to get involved, please get in touch on the contact page.